Researchers recently announced the discovery of a frog whose groin flashes orange to scare away predators! The species was discovered in Australia. 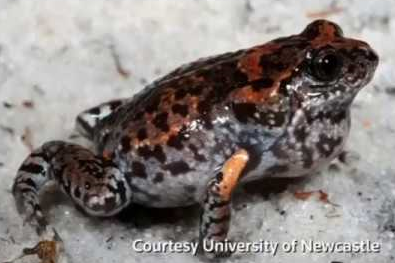 When biologist Simon Clulow spotted a frog with an unusual marble pattern on its belly, he knew it could be a new species. If that turned to be true, it would be very surprising as the sighting took place on land close to an airport and not some remote area. "Nowadays many new discoveries are based primarily on genetics, that is, the frogs look similar to other known species but when we analyse them in the lab we find they differ genetically. It's almost unheard-of to pick up a vertebrate in the field and know instantly, based on appearance alone, that it is a new species." said Clulow, of the University of Newcastle, Australia. 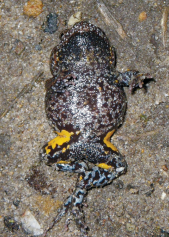 The species, found at Oyster Cove near Newcastle Airport in New South Wales, has been scientifically described as Uperoleia mahonyi, or "Mahony's Toadlet" in common language. The species was named after Professor Michael Mahony, frog expert, conservationist and Clulow's mentor, Although a frog rather than a toad, the word "toadlet" was added because the glands on its back look similar to those found on some toads in Europe and the Americas. 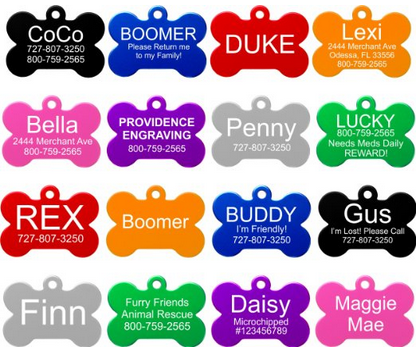 "They are highly secretive. Individuals remain well camouflaged and hidden under grass, leaves and sand," Clulow said, adding that the best way to find one is by following their mating call, an audible "squelch" that lasts less than a second. When confronted by predators, the frog extends its legs and flashes its orange groin. Clulow believes this startles predators, winning the frog some time to escape. Although the species is superficially similar to other Uperoleia in the area, it is still morphologically very different than any other species in the area it was discovered. The researchers behind the discovery noted that any thorough inspection of the animal by an experienced amphibian ecologist should have identified it as novel. According to them, other people have probably seen the species in the past, yet they simply failed to identify it as an undescribed species!